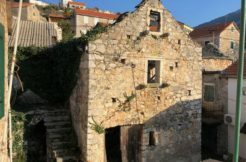 Planning on purchasing a property in Croatia could mean an old Dalmatian stone house, stone ruin, villa, or beach apartment as a holiday home, investment, or even acquire land for development, at Balustrade Estates our objective is to provide a stress-free, clear, impartial and complete service. Citizens of EU member states are treated as Croatian citizens for the purposes of acquiring ownership of real estate in Croatia “Amendments to the Law on Ownership (National Gazette 146/2008)”. 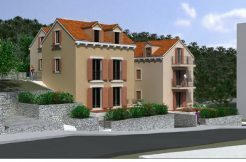 Non EU citizens will still need to apply to the Ministry of Justice to acquire real estate in Croatia. The amendments to the Law on Ownership do not apply to agricultural land and protected areas of nature (i.e. national parks). The amendments represent a significant step towards liberalisation of the Croatian real estate market, as EU citizens will now be able to avoid the sometimes lengthy administrative procedure of having to apply to the Ministry of Justice for permission to acquire real estate in Croatia. Once you have fallen in love with a property to buy, we will need a copy of your passport or ID card. A personal identification number (O.I.B) has to be requested which is done with the copy of your ID card or passport. Purchasing a property in Croatia can be quite straight forward, and there is no requirement to have a lawyer to act for you when purchasing, and in fact it is quite common to have a lawyer working for both the buyer and seller. However, Balustrade Estates strongly recommends that as a buyer you have a lawyer who is looking after your interests, if you do not have a lawyer then we are happy to recommend one of several that we have worked with in the past and who have proved to be professional and efficient. Lawyers fees will vary, however a rule of thumb is around 1% of the purchase price. If you are not familiar with the Croatian language, then it is likely that you will want the sales contract translated into your preferred language. Balustrade Estates can organise this via a court translator and this is officially stamped. The cost is usually in the region of €100 for a 3 to 4 page contract. Naturally a longer contract will incur additional costs. There are two types of contract that are used in Croatia for purchasing a property, a pre contract and/or a main contract. A pre contract will usually require that something further needs to be done in order to have complete documentation. A 10% deposit is required at this stage which is usually held by Balustrade Estates in a special client account for protection, and all agreed conditions are written into the pre-contract. Once those conditions have been met, both parties proceed to a main contract where the balance of the purchase price is paid. A buyer can proceed directly to a main contract if all necessary requirements are met, once a main contract is signed the buyer has a specific number of days (usually 15) to pay the full purchase price. When signing a sales contract only the seller’s signature needs to be notarised by a public notary in Croatia. Finally, it is important that when buying a property, you allow for your purchasing costs in the overall figure you are spending. To make calculations easier, we use an approximate figure of 8% of the purchase price as your buying costs, this is broken down as follows. We fully understand that it is not always quite as straight forward as we would like, and therefore at any stage should you need to contact us for advice, please do not hesitate to telephone us or contact us by e-mail, or use the form below. Our fees for introducing a property to a purchaser who subsequently signs a sale contract is 3% of the purchase price plus 25% PDV (VAT).